EPUB is an e-book file format with the extension .epub that can be downloaded and read on devices like smartphones, tablets, computers, or e-readers. It is a technical standard published by the International Digital Publishing Forum (IDPF). The term is short for electronic publication and is sometimes styled ePub. 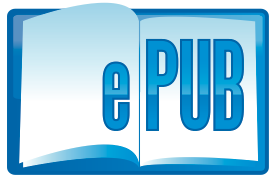 EPUB is the most widely supported vendor-independent XML-based (as opposed to PDF) e-book format; that is, it is supported by the largest number of hardware readers. ePub is based on xHTML, XML and CSS. Find free ePub readers for Smartphones and PC in subsequent posts.